Recent years many organisations and governments started to actively promote or even prescribe the use of Building Information Modeling for new projects. Now also the Taiwan has started informing the local building industry by sharing knowledge and goals during an annual BIM symposium. 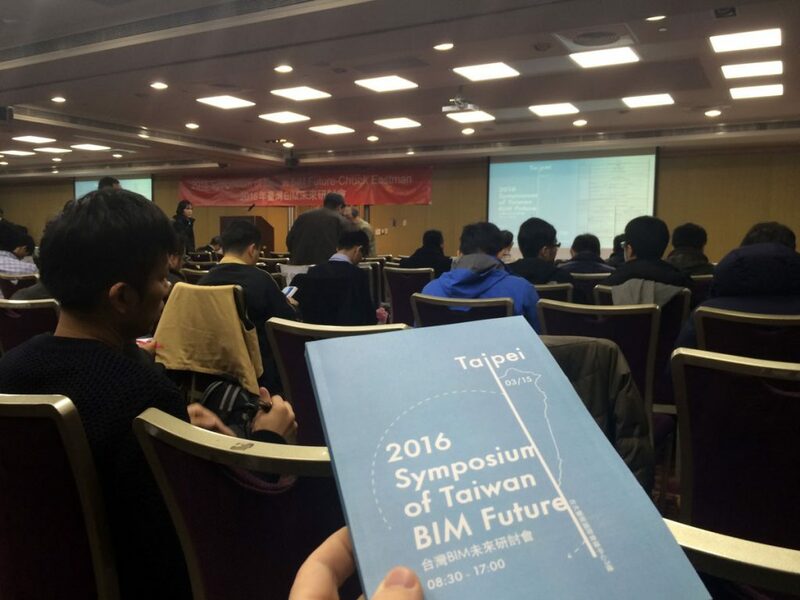 Being the only western participant of this symposion and working with the Taiwan industry for 2 years I managed to get a good glimpse of the current level of BIM in Taiwan. A key speakers of this symposium was Chuck Eastman, one of the ground-layers for the BIM proces in the 70’s and design technology expert at the Georgia Institute of Technology. In his presentation he said BIM is still a young technology that will further develop as it becomes widely adapted. He made a clear comparisons with other technologies that initially started small. Adaption of cars and the internet also brought us many new technologies and infrastructures like highways and smartphones. This revolutionized how people today live, work and relax. New BIM technologies we could expect in the near future are in design automation, design user interface and robotics. The event also gave some good input on the pro’s and con’s of using BIM for clients, contractors, architects and other building advisors. 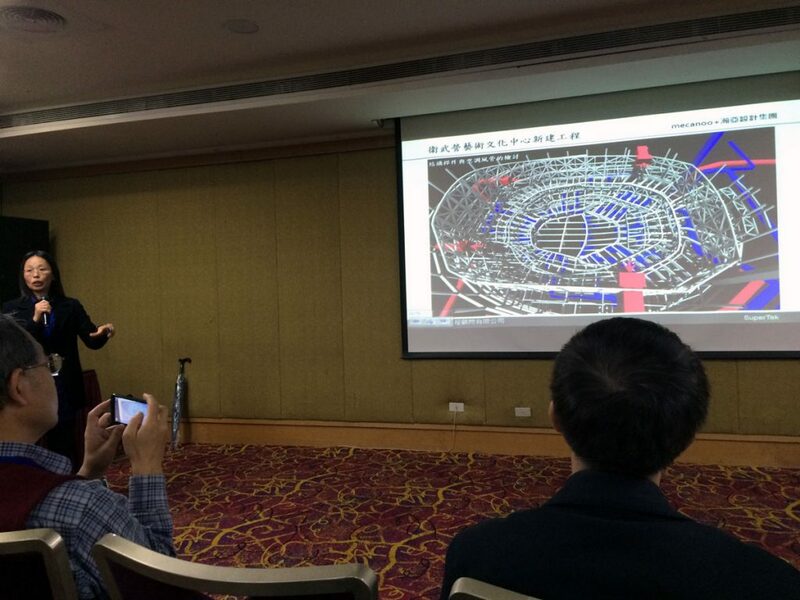 Software vendors offered there services for Taiwan building regulations, and consultants where selling there knowledge on how to implement BIM. Unfortunately most of these presentations only focused on software, 3D models, and drawings but not on the collaborative aspects of BIM. 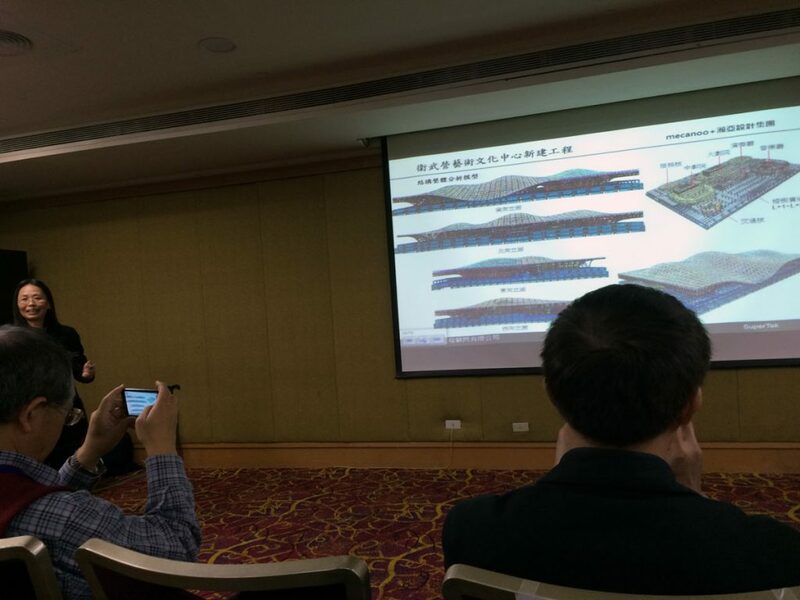 During these presentations and discussions I noticed that in Taiwan most people still see BIM as an end product: a 3D model used for generating drawings and construction documents. In the event there where not as many Architects as I have seen in similar events in the NL, UK and USA. It became clear this is a result of most BIM projects in Taiwan are led by contractors who hire a third party to model the design of the architect, structural engineer and MEP advisor and use these models to generate quantities and information before building. This “BIM after drawing” approach is very similar to my experiences of BIM in China where an early open design collaboration was also limited by the focus on drawing production by our local design institutes. There are however exceptions, our structural consultant Supertek based in Taipei gave a wonderful presentation on how they used models for early design communications with Mecanoo back in 2008. In those days BIM software capable of making shapes like Mecanoo’s Wei Wu Ying center of arts were limited so we mostly had to develop our own tools that liked together geometry using Grasshopper, Rhinoceros and file sharing platforms. We used several models for coordinating the complex building design of this 140.000m² theater and operahouse to fit all structural and architectural elements. 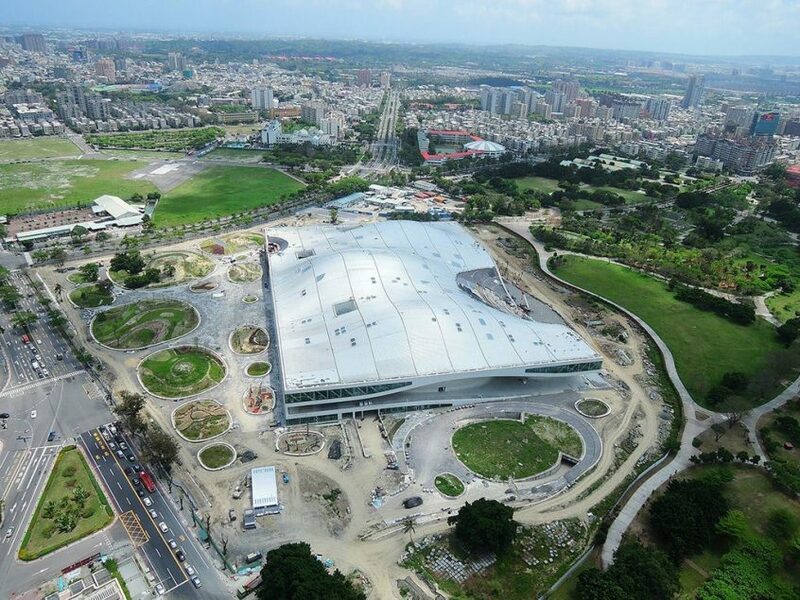 Since that successful collaboration we kept working with Supertek on the new Kaohsiung Station where we use Revit, Rhinoceros, Grasshopper and Dynamo in harmony to coordinate this complex train/metro station. I will write a more detailed post about that Collaboration soon followed by our new BIM project Tainan Public Library for more in depth information and tips about overseas BIM projects and collaborations in Taiwan. In the Netherlands our government demand all new state owned buildings had to confirm to a RVD BIM norm since 2011, giving many architecture, engineering and construction offices some years of collaborative practice with BIM. These norms describes data of building components, clash control and modeling standards that should be used by all design partners. The UK even goes a step further by focusing on the collaboration and file sharing aspects of BIM. These steps could be a helpful start for governments that also want to encourage a smarter and more efficient design proces and optimize there buildings an construction industry. Since 2008 BIM has really grown in popularity. Every year there are better IT and software solutions that simplify the collaboration and design documentation with better connected workflows. This got clear in the large variety of people now visiting the Taiwan symposium. It also shows that Taiwan is ready for embracing BIM and I am more then happy to share our experiences, so our collaborations in Taiwan benefit from a more connected and efficient design proces. What are the experiences with the level of BIM in you country, do you have any oversea collaborations and what do you think of the BIM process in those countries?